If you have a field of Oats and you suspect that you may have some Wild Oats in there too, I’m afraid you’re stuck with them. They are members of the same oat family, so anything you do to try to kill them off will, kill off the cash crop. 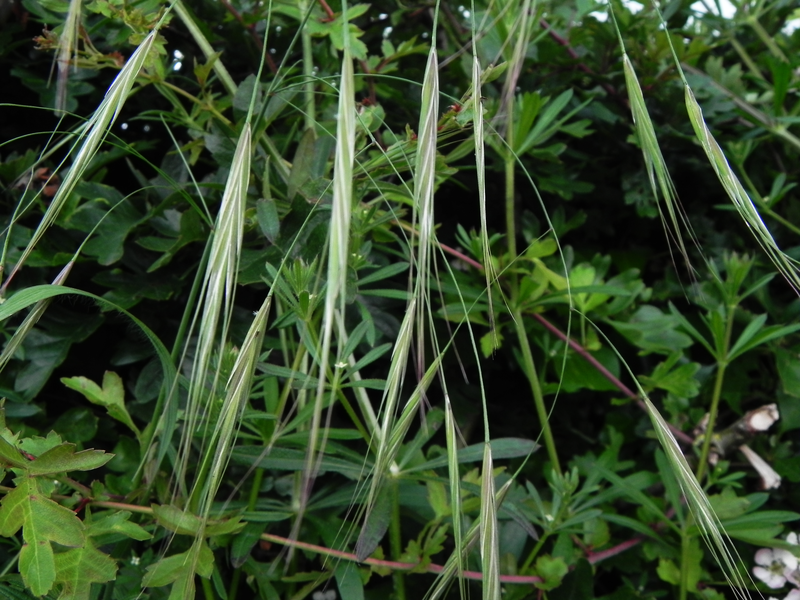 Wild Oats started to be a problem to cereal farmers after the Second World War and reached their peak nuisance value in the 1990s. The question arises then, why try to kill them off, why not just harvest them along with the real stuff? Sometimes I suspect it has something to do with being in control. After all, the farmer planted the crop he wanted to grow, so volunteer plants obfuscate the master plan. Then, there is the fact that the more wild plants you have in the field, the less space, nutrients, etc. there is for the crop that’s paying the wages. Dr Edward Bach (1886 – 1936) felt that restless people, who wanted to achieve, to become prominent, but who couldn’t decide what or how to reach their goals – or even exactly what their goal were, probably just needed a helping hand from a few drops of his Wild Oat flower essence. Sowing Wild Oats, apart from irritating farmers everywhere, is a saying that goes back to the Romans. The seeds of the wild variety of oats, are small and hard with very little nutrition in them. So, anyone sowing Wild Oats was indulging in an annoying and pointless pastime. And of course, you always reap what you sow.